Wasn’t sure what to file Wrecking Ball Coffee under as it’s of interest to me on two fronts, much like Ink Butter (which has to be a typography & logo design highlight for me). 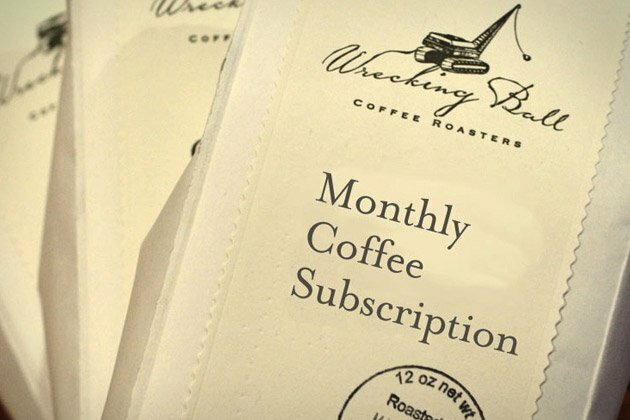 On one hand we have a wonderful brand name in Wrecking Ball Coffee with a delightfully crafted logo and tasteful packaging, then on the other we have the practical aspect of supposedly gorgeous coffee beans on subscription delivered to your door. Given the double hit it’s likely I will not be able to resist getting a subscription.